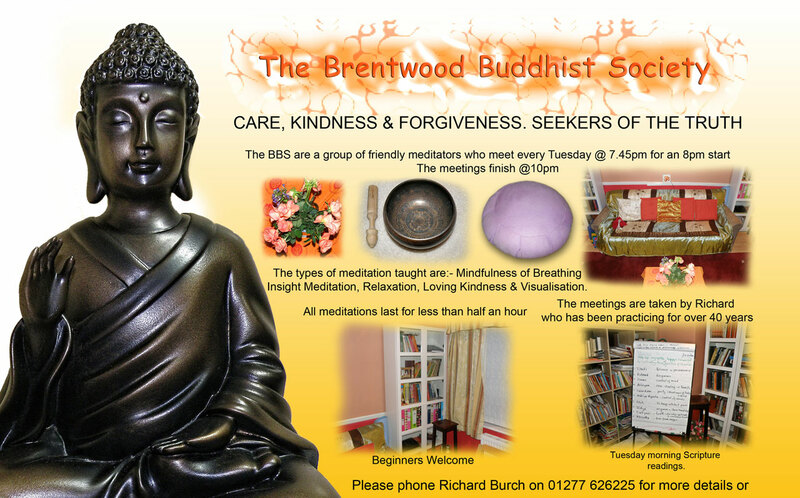 The Brentwood Buddhist Society offers teachings on meditation, care, kindness & forgiveness. The society is run by experienced teachers teaching Insight Meditation, Mindfulness of Breathing & Loving Kindness Practices. All Welcome.